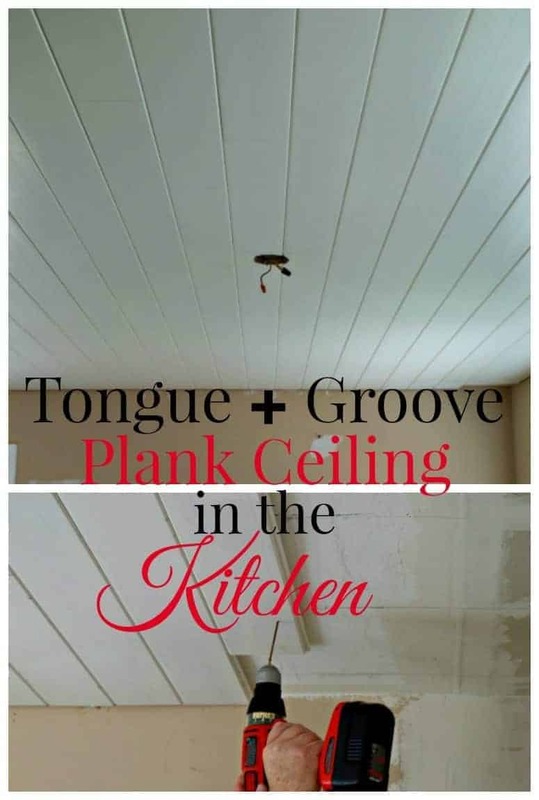 Where to find budget-friendly primed tongue and groove ceiling planks for a kitchen ceiling. 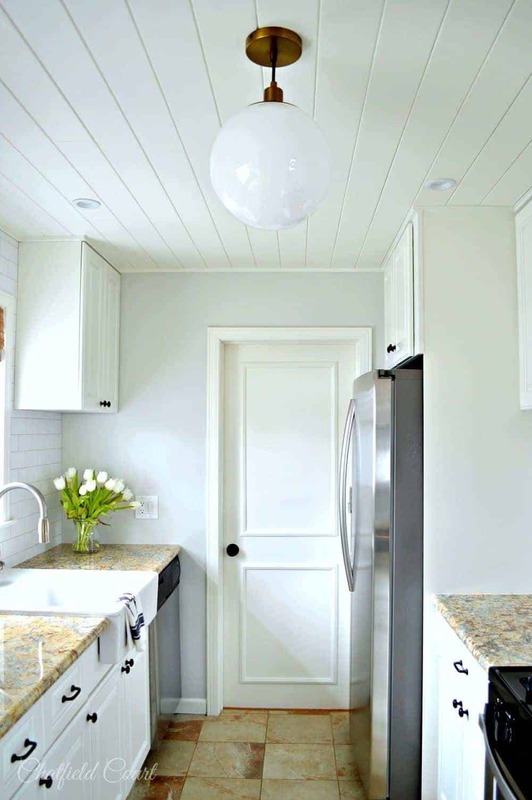 Since we installed the primed tongue and groove planks on the kitchen ceiling during our remodel and in our RV renovation, I have been getting so many comments and emails asking about the source for the planks. Today I thought I would update the post a bit and share the info on where we got ours. 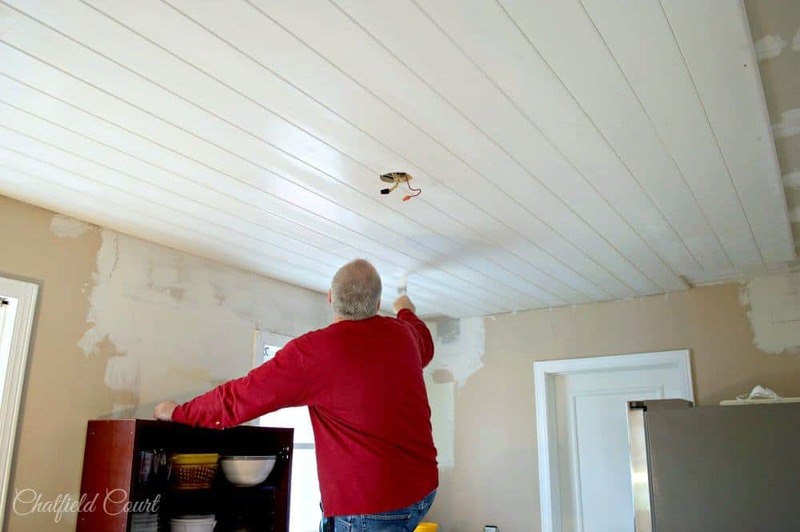 Before we started working on the ceiling, I did a lot of research, as per usual for me, on what would be best to use for the kitchen ceiling. The biggest takeaway I got from all that research was to use primed tongue and groove planks and I’m so glad that we followed that advice. Not only did it save our necks and backs, but it also saved us a ton of time. Getting info online proved to be the easy part. Actually finding the wood planks in a store was almost impossible. We went to every store in our area that sold lumber until we walked into our local Home Depot and hit the jackpot. They had primed tongue and groove pine planks in 8 and 12-foot lengths…exactly what we were hoping to find. Below is what the display looked like in the store. You’ll note that the side showing in the store display looks different that the plain sided planks on the ceiling. I’ve gotten a lot of comments and emails about this so I will say that it is, in fact, the same board. It simply has two sides (I talked more about it in this post). We went with the plain side for our ceiling because it was the look I was going for. I’ve often heard people saying that the tongue and groove wood planks that they have been able to find have been very expensive. I thought the ones that we got were very reasonable. We spent about $275 just for the planks for our 13’x 8′ kitchen. All of our planks and supplies were bought at The Home Depot. Painting it was literally a pain in the neck, but it wasn’t the worst job ever. We kept saying that we were so happy that we spent the extra money on the primed planks the whole time we painted. The primed planks were well worth the few extra dollars. I did find a few spots where a small amount of sap seeped through. To cover them up I just added an extra coat of paint over it and it looked fine. It may seep through again but, honestly, you can’t tell. I just noticed because…well, I’m weird like that. I would stand there and practically stand on my head to look at spots on the ceiling at different angles and in certain light but a normal person walking in there probably wouldn’t notice. The mister didn’t, but I could shave my eyebrows off and he probably wouldn’t notice. Ok, bad example. Seriously, the sap spots weren’t a deal-breaker for me. I just wanted to let you know that it could happen. The ceiling turned out so much better than we thought. I would love to do another one in our new house in North Carolina….fingers crossed. I hope that this little bit of info helps you out. Let me know if you’re able to find any pre-primed tongue and groove planks in your area. I’d love to pass the info on. UPDATE 3/2018 – I still get a ton of emails and questions about the tongue and groove planks that we used. I just wanted to update you and let you know that these planks are still available in our local Home Depot stores. We are actually getting ready to use them again and our local stores had plenty of inventory. I hope you find this useful. A SECOND UPDATE 5/2018 – We just completed another tongue and groove wood plank ceiling in our RV, or our little home away from home, with the same material. We used the other side of the plank this time if you want to check it out. We also didn’t notice any shrinkage with the planks. I can’t speak of how they are doing now, as we moved out of the house, but for the year we were there they were fine. Good luck with your project. Thank you for responding so quickly. I will absolutely let you know how it works for us. With so many different products on the market today it can be overwhelming at times trying to make a decision. All of your projects turned out AMAZING, and I can only hope it’s as easy for us as you and your husband make it look! Keep up the good work and thanks for the inspiration. 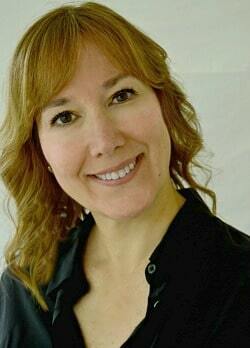 Hi Lonna. I looked up the info that you sent me and it does appear to be the same product we used on our ceiling. We just used it again in our RV remodel. We really liked working with it. Hope this helps. Good luck with your remodel. I’d love to hear how you like this product. Love your ceiling! Planning on doing a plank ceiling in the kitchen of our new build. Trying to figure out what style of edge to go with. Do your boards have a v groove? We’re getting unfinished planks, and trying to decide between a v groove edge, or a nickel gap. Any suggestions? We’ll be painting them white. Thanks! Anyway, to answer your question, we just used shiplap for the first time in our RV conversion. It wasn’t nickel gap but true shiplap. I honestly didn’t care for it. Nickel gap, as well as shiplap, only has one side to hide brads so it’s a bit trickier to secure. We preferred the v groove, hands down. Especially for a ceiling. I think nickel gap would be better for a wall. Can I recommend the pre-primed boards if you can find them (especially if you’re painting them anyway)? It was the best thing we did. It saved us loads of time and made it easier to paint. Painting boards on the ceiling is not fun. Menards in my area (N.E. Wisconsin) carries these as well… possibly the Lowe’s too. That’s great info, thanks Danielle! The Lowe’s in our area has planks as well but there are some slight differences. I still prefer the Home Depot ones but that’s just my personal preference. January 2018. We are told by HD that this is no longer available. Thanks for the info Danna. It’s strange that they would tell you that. We were just in our local Home Depot looking at it for an upcoming project last week. It’s still available here. Wouldn’t it have saved a lot of trouble to blind nail it instead of screwing, filling, priming, and painting the holes? We didn’t fill, prime or paint any holes. We only used screws where they would be hidden. They were just there for a little added security. The brads we used were all hidden on the tongue of the plank. I’m confused as well. 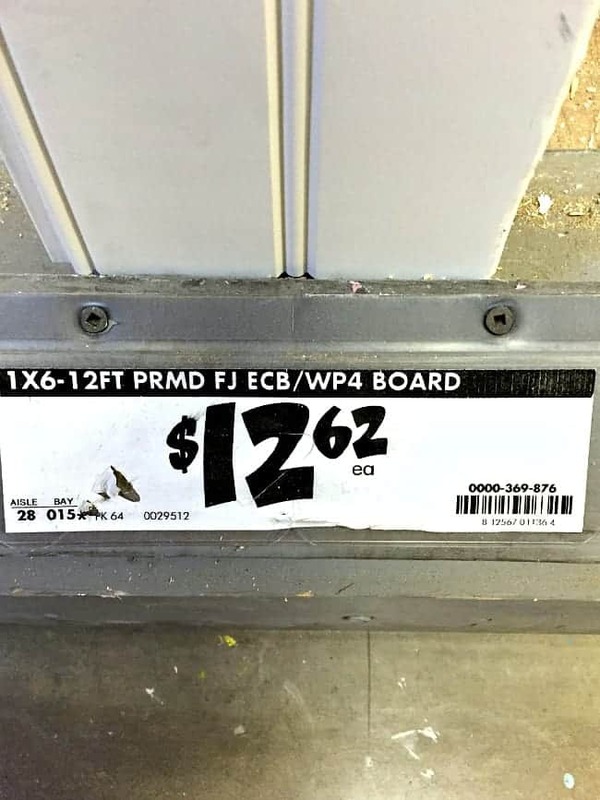 The pic from Home Depot of the boards are not the same boards that are on your ceiling. 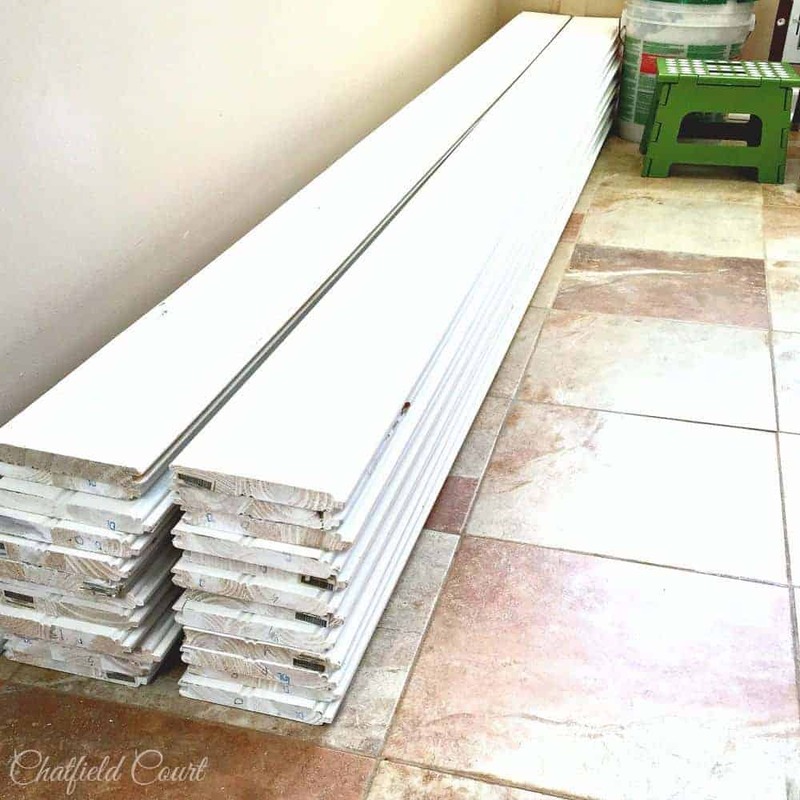 The boards on the shelf at Home Depot that you have a pic of are a beadboard plank tongue and groove and your ceiling is just plain tongue and groove plank without the beadboard look. 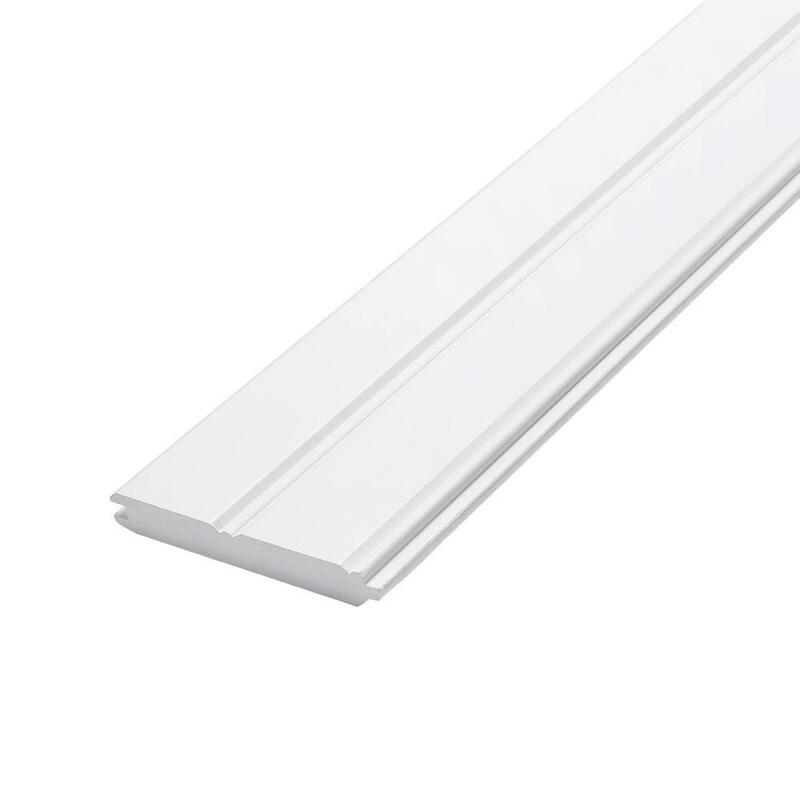 Theres a raised ridge (bead) in the pic of the product on the shelf at Home Depot and there is not that same bead/ridge on your ceiling planks. I’m afraid you may have taken a pic of the wrong product. Hi Kristin. No, it is the correct product. 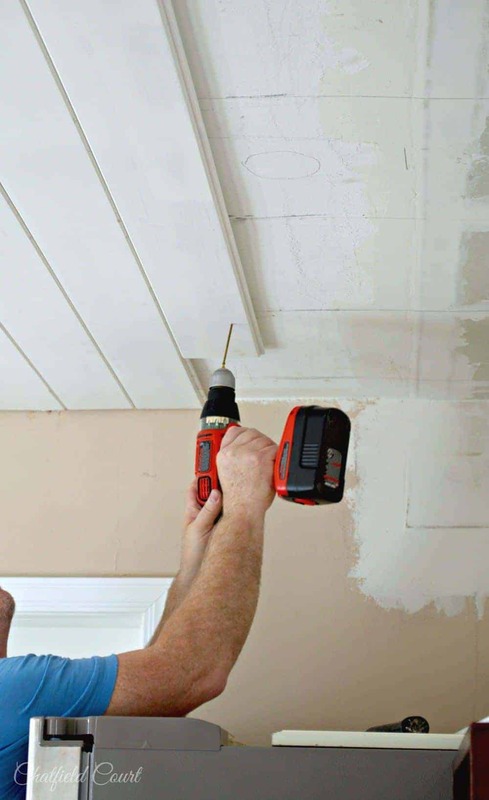 If you read the post on installing the ceiling (at the end of the post you’re commenting about), you’ll see a picture of both sides of the planks. One is smooth, the side I used, and the other is like bead board. The photo I shared is the same exact product from the same store we bought it from. Hope that helps. Nice post thx. Growing up in Minnesota I had the pleasure of painting over a lot of knotty pine. For those ready to try your strateg trying to prevent bleed through, a shellac based primer (one brand is BIN) helps greatly. I used tongue and groove wood thru out our whole downstairs of our house, love the look! Only thing I would recommend is when buying your wood try to get pieces of wood with as little knots as possible. I used “Kilz” (suppose to hide any blemishes) but knots still come thru 1 coat of Kilz and 2 coats of paint. I am now painting again, this time I’m using high gloss paint it’s thicker than satin! Plus I have put another coat of Kilz/primer. Love ,love,lovethe high gloss paint ! That is the downside to putting up a plank ceiling using tongue and groove (unless you’re going for that look). Thanks so much for sharing your process for hiding them. Glad you found a solution. The planks you sjhow here on the home depot shelf are not what you installed. Am i missing something here? Hi Sam. We actually used the planks in this post on the ceiling. I used an old piece of barn wood for the shelf. I assume you are referring to either the kitchen shelf or the bedroom shelves? Yes. I am still working on doing this project but I have to tell you again….yours is the BEST example. I have pinned this a million times and will continue to do so cause I love it that much. Thank you again for sharing. This ceiling looks beautiful! And the pre-primed option is perfect for me because I HATE painting and I’ll pay extra to skip a step. I’d love to invite you to share a few of your gorgeous blog posts at my Inspiration Thursday link party on my blog inthenewhouse.com. We start on Wednesday nights at 9pm EST and party all day Thursday. I hope to see you there! Thanks so much Lela. The pre-primed planks were definitely the way to go. I’ll be sure to stop over to your party. Thank you for sharing this source! 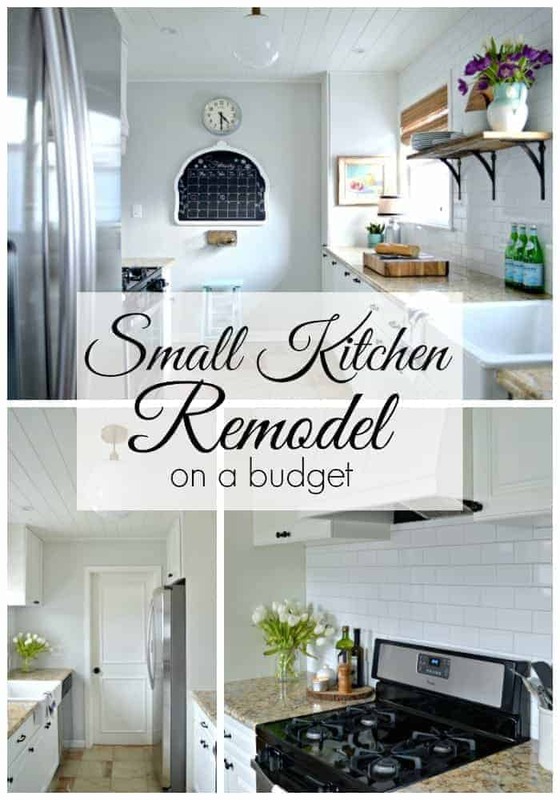 There’s two walls that I would love having shiplap, but the thought of all the work that many go through when making the inexpensive way, makes me exhausted just thinking of it. I would love to get actual planking ,and to have them preprimed would be awesome. Looks like it came together beautifully! My husband is making some inexpensive shiplap for me as I speak. Can’t wait to see the finished product! Thanks Erin! I’m sure you’ll love your shiplap. I’ll be sure to check out your finished project. Thank you for sharing your source! I know that your new house will be super fabulous! Ps- gotta love Home Depot! Hi, Do you know if it’s possible to do this over a tile ceiling? Hi Sharon. What kind of tile ceiling are you referring to?